Rex Todhunter Stout, one of the nine children of John Wallace Stout and Lucetta Elizabeth Todhunter, was born in Noblesville, Indiana, on 1st December, 1886. Stout attended Topeka High School in Kansas, and the University of Kansas. In 1906 Stout joined the U.S. Navy. He left after two years and he later claimed that over the next four years he worked at about thirty different jobs. His main ambition was to be a writer and sold several stories and articles in magazines. Stout made much more money from inventing a school banking system for which he received royalties. In 1916 he married Fay Kennedy and spent the next few years travelling around Europe. On his return to the United States Stout became associated with liberal causes such as the American Civil Liberties Union (ACLU). Stout became friends with Roger Baldwin, Scott Nearing, Oswald Garrison Villard, Norman Thomas, Jane Addams, Chrystal Eastman, Clarence Darrow, John Dewey, Abraham Muste, Elizabeth Gurley Flynn and Upton Sinclair. In 1925 Baldwin appointed him to the Board of the ACLU's powerful National Council on Censorship. Stout also contributed $4,000 to get the radical magazine, The New Masses, started. However, Michael Gold, the editor, allowed the magazine to become a strong supporter of the Soviet Union, and non-communists such as Stout, Max Eastman and Floyd Dell ceased to become involved in the journal. Stout's first book, How Like a God, was published in 1929 while he was living in Paris. He returned to the United States and in 1934 published the political thriller, The President Vanishes (1934). The book concerns the mysterious disappearance of the president who was facing impeachment, over his foreign policy that might result in a war. It eventually becomes clear that the president has staged his own disappearance to counter an impending military coup. It was later argued that the novel was based on President Franklin D. Roosevelt and his problems with the political conspiracy alleged by Major General Smedley Butler in 1933. Jacques Barzun has argued: "To a reader of keener political-mindedness... this may be a sufficiently gripping tale. A peace-loving president, in a period of European anxiety about war, is kidnapped. The reason for the deed is as surprising as the perpetrator." Later that year Stout published the detective novel, Fer-de-Lance. This introduced the public to Nero Wolfe and his assistant Archie Goodwin. It has been argued by Frederick Isaac that: "Rex Stout's Fer-de-Lance, then, may be said to have heralded the beginning of several eras. It was, first and foremost, the opening of one of America's best detective series, introducing Nero Wolfe and Archie Goodwin and their world to generations of readers. Second, Archie's presence raises serious questions about the possible roles that the detective's assistant could and should play in the investigative process, some of which remain open even today... Third, Wolfe and Archie began to redefine the relationship between the two traditions of the Great Detective and the hard-boiled sleuth ... By identifying both of these strands and personifying them in Wolfe and Archie, Stout challenged the world of detection to analyze itself. The genre has never been the same since." 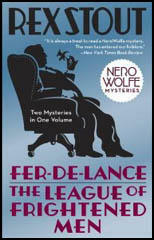 Stout followed the novel with other Nero Wolfe stories: The League of Frightened Men (1935), The Rubber Band (1936), The Red Box (1937), Too Many Cooks (1938) and Some Buried Caesar (1939). 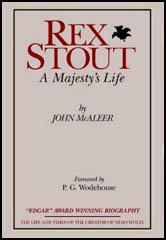 Stout was a strong critic of Adolf Hitler and his Nazi Government and according to his biographer, John J. McAleer, the author of Rex Stout - A Majesty's Life (1977), Stout was an agent of the British Security Coordination (BSC) and helped them to establish the Fight for Freedom (FFF) organisation. "Rex Stout was not only an officer in the BSC front Friends of Democracy and a major spokesman for another BSC front, Fight for Freedom, he also admits to working directly for BSC agent Donald MacLaren." 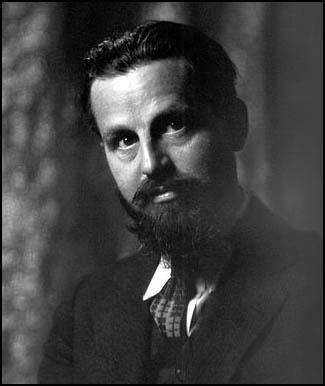 Peter Cusick, the Executive Secretary of the FFF, later recalled: "Rex Stout was the nicest angry man I knew in the Hitler period... His anger and brilliance contributed in an extraordinary way to the successful efforts of both the Committee and the Board to alert the country, as a whole, to existing dangers." 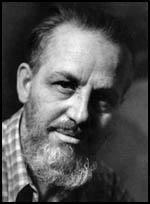 Thomas E. Mahl, the author of Desperate Deception: British Covert Operations in the United States, 1939-44 (1998), agrees: "Rex Stout, the mystery writer and interventionist who had worked long and diligently with the BSC front Friends of Democracy." Another member of the BSC, George Merten, later recalled: "Rex Stout deserves honor and credit for exposing himself at that time for a cause which was not too popular in influential, especially corporation quarters." Other members of Fight for Freedom included Ulric Bell, (Executive Chairman), Peter Cusick (Executive Secretary), Allen W. Dulles, Joseph Alsop, Henry Luce, Dean G. Acheson, James P. Warburg, Marshall Field III, Fiorello LaGuardia, Lewis William Douglas, Carter Glass, Harold K. Guinzburg, Conyers Read, Spyros Skouras and Henry P. Van Dusen. The group also contained several journalists such as Herbert Agar (Louisville Courier-Journal), Geoffrey Parsons (New York Herald Tribune), Ralph Ingersoll (Picture Magazine) and Elmer Davis (CBS). On 21st April, 1941, Stout made a speech in New York City where he attacked the activities of Charles Lindbergh: "I wish I could look you in the eye, Colonel Lindbergh, when I tell you that you simply don't know what it's all about.... A desperate war is being fought, and the winners of the war will win the oceans. No matter what we do, we shall be either one of the winners, or one of the losers; no shivering neutral will get a bite of anything but crow when the shooting stops. It would therefore seem to be plain imbecility not to go in with Britain and win.... Every fascist and pro-Nazi publication in America, without exception, applauds and approves of him.... Dozens of times in the past year he has been enthusiastically quoted in the newspapers of Germany and Italy and Japan." Stout then went onto defend himself against the attacks he had received from America First Committee: "The America First Committee is calling people like me, who are convinced that we should go in with Britain now and win, a gang of warmongers.... If a 1941 warmonger is a man who advocates that we should immediately send warships and the men we have trained to sail them and shoot their guns, and airplanes and the boys we have trained to fly them and drop their bombs, send them to meet our acknowledged deadly enemy where he is, and attack him and defeat him, then count me in." In 1941 BSC agent Donald MacLaren employed Rex Stout, George Merton (another BSC agent) and Sylvia Porter of the New York Post, to write a propaganda booklet entitled Sequel to the Apocalypse: The Uncensored Story: How Your Dimes and Quarters Helped Pay for Hitler's War. It was published in March 1942. Stout also hosted three weekly radio shows, and coordinated the volunteer services of American writers to help the war effort. After the Second World War Rex Stout returned to writing Nero Wolfe novels. This included Instead of Evidence (1946), The Silent Speaker (1946), Too Many Women (1947), Before I Die (1947), More Deaths Than One (1948), Three Doors to Death (1949), Trouble in Triplicate (1949), The Second Confession (1949) and Disguise for Murder (1950). Red Channels was published on 22nd June, 1950. Written by Ted C. Kirkpatrick, a former FBI agent and Vincent Hartnett, a right-wing television producer, it listed the names of 151 writers, directors and performers who they claimed had been members of subversive organisations before the Second World War but had not so far been blacklisted. Stout immediately condemned the publication of this document. A strong opponent of McCarthyism, Stout believed the activities of Joseph McCarthy helped Communism by making anti-Communism seem reactionary. Rex Stout protested against the execution of Julius Rosenberg and Ethel Rosenberg. He was highly critical of Harry Gold, David Greenglass and Elizabeth Bentley, who had provided evidence against the Rosenbergs. As his biographer pointed out: "Gold had since admitted that he perjured himself. Greenglass, Ethel's brother, had been described by his own wife as a pathological liar. In a subsequent case, Elizabeth Bentley's status as an incorrigible liar was established to the satisfaction of the courts." Other books during this period by Stout included The Golden Spiders (1953), Three Men Out (1954), The Black Mountain (1954), Before Midnight (1955), Three Witnesses (1956), Might as Well Be Dead (1956), Three for the Chair (1957), If Death Ever Slept (1957), The Final Deduction (1961), Homicide Trinity (1962) and The Mother Hunt (1963). J. Edgar Hoover told his FBI agents to keep a close watch of Rex Stout. This probably dates back to the work he did with anti-fascist group in the 1930s that Hoover considered to be under the control of the American Communist Party. Hoover was also suspicious of his leadership of the Authors League of America that was a target of Joseph McCarthy. Stout had also made it clear that he disapproved of Hoover who had discribed Martin Luther King as the "biggest liar in the world". Stout said that: "Hoover is a megalomaniac, although I detest that word. He appears totally egocentric, and in addition to other things he is narrow-minded. I think his whole attitude makes him an enemy of democracy... I think he is on the edge of senility." It has been pointed out that about a third of Stout's FBI file is devoted to his 1965 novel, The Doorbell Rang. The novel concerns the publication of The FBI Nobody Knows (1964) by Fred J. Cook. In the novel, the wealthy Mrs. Rachel Bruner buys 10,000 copies of Cook's book and sends them to persons of influence, including cabinet members, Supreme Court justices, members of Congress and heads of corporations. Bruner believes that as a result of her actions she is being persecuted by the FBI and employs Nero Wolfe to investigate the organization. Stout was someone who had grave doubts about the Warren Commission Report and created a great deal of controversy when he praised Rush to Judgment, a book on the assassination of John F. Kennedy by Mark Lane. He came under attack from several people, including George Field, who condemned the book as "undermining confidence in our democratic processes". Stout replied: "If the devil himself writes a book, and the publisher sends me an advance copy, asking for a quotable comment if I think it deserves one, and I read it and find it is a good job, I shall certainly say so. Also I regard Rush to Judgment as a useful contribution to a necessary controversy." Rex Todhunter Stout died on 27th October, 1975. On 9 April, when the Germans swept into Norway and Denmark, William Allen White hurried to New York, where he met with Clark Eichelberger, executive secretary of the Union of Concerted Peace Efforts. In September 1939, Eichelberger had persuaded White to accept chairmanship of the new Nonpartisan Committee for Peace. Now, together, they decided that a committee should be formed to help the Allies in all ways "short of war." At a luncheon at the University Club attended by White, Eichelberger, John Farrar, Elmer Davis, Harold Guinzberg, Rex, and others, the Nonpartisan Committee was reborn as the Committee to Defend America by Aiding the Allies. Again White was chairman; Rex was a charter member. When Hitler invaded the Low Countries on 10 May, the committee sought mass support. It got it. By 1 July, it had three hundred local chapters. National headquarters of White's committee was in New York City. That fact was to become a problem for White. The nucleus of the New York chapter was the Century Club or "Miller Group," under the nominal leadership of Francis Pickens Miller, their executive secretary. Membership of this group included Ulric Bell, William Agar, Elmer Davis, John Balderston, Henry R. Luce, Robert Sherwood, Dean Acheson, Allan Dulles, Admiral W. H. Standley, George Field, Barry Bingham, James B. Conant, Harold Guinzberg, and Joseph Alsop. All went beyond White in believing in direct military intervention. If they did not advocate it openly, that was because they did not yet dare to. White was afraid their advanced demands would wreck the committee. He told a friend, "The New York committee is my hair shirt." White held on while the group promoted giving destroyers, fighter planes, torpedo boats, munitions, lend-lease, food, and credit to Britain, but hostile mail from isolationists at last unnerved him. In January i94i he retreated to the post of honorary chairman, and in April, when his committee advocated convoys to get supplies to Britain, he withdrew from it altogether. Rex relished the militancy of the Miller Group and supported its campaigns. When the New York chapter of White's committee experienced yet another rebirth, as the Fight for Freedom Committee, Rex, at the invitation of Ulric Bell, was one of its sponsors. As a man of business experience, Rex was an oddity in our circle. He was important to all of the people in that part of the culture in New York.... He was riding no hobby horse. Without propaganda, he stimulated the others in the group - a man of quiet, unspectacular influence. He didn't convert people, like Scott Nearing, or have them marching in parades, like Norman Thomas. He never went out on a picket line. He was secure enough financially with his home and his hobbies. He didn't need to exhibit himself.... He was much more self-sufficient than the people he went with. He had a rare sense of inner security.... Rex didn't need others to complete himself.... He didn't need to go where the crowd was. He never went around to get guidance from his friends - to find out how they were voting, how dealing with some current issue. You couldn't count on him to go along with the liberal line. He wouldn't jump on board because everyone else was backing Norman Thomas or Al Smith. Many of the others were fighting momma and poppa, striking out against the conservatism of their own families - fighting their past. Rex had none of those problems. He was supremely his own man. fulfill the purpose they were made for, we are saying for all the world to hear, "You've got our number, Mr. Hitler, you were perfectly correct when you said years ago that Americans were too soft and decadent and timid ever to stop you on your way to world conquest." Charles Lindbergh is one of the minor tragedies of America. In 1927, twenty-five years old, he was the blue-eyed darling of a hundred million of us, the flaming and indomitable knight of the new element we were conquering, the air. In 1941, thirty-nine years old, he is a middle-aged sourpuss who apparently thinks that we scattered that thousand tons of confetti on him in those glorious days of May because we had found a hero who played it safe, who refused to confront danger like a man. The America First Committee is calling people like me, who are convinced that we should go in with Britain now and win, a gang of warmongers.... If a 1941 warmonger is a man who advocates that we should immediately send warships and the men we have trained to sail them and shoot their guns, and airplanes and the boys we have trained to fly them and drop their bombs, send them to meet our acknowledged deadly enemy where he is, and attack him and defeat him, then count me in. In the fall of 1941 Rex had been approached by Donald MacLaren, an agent of the British Security Co-ordination, working under William Stevenson, the brilliant Canadian who was later knighted for his work as head of the British Intelligence Center in New York and for other wartime activities. The B.S.C. asked Rex to help with an expose it was preparing which would show how the Nazis were using the money of American consumers, with L.G. Farben as its transmission belt, to help finance Hitler's war. Rex pledged full cooperation. John L. Balderston, an active member of the FFFC, was enlisted to prepare a booklet setting forth the information Stevenson's sources had gathered .Much of the gathering was done by MacLaren, George Merten, and economist Sylvia Porter. When the text was completed, Rex wrote a foreword for it. Then the manuscript was taken to Canada, where it was secretly printed on Camp X presses. As soon as it was ready for distribution, the booklet was smuggled back into the United States. Merten says: "On the eve of the publication we organized a public meeting in Elizabeth, New Jersey, being near the site of the American Merck Company, one of those involved in close cooperation with the Germans. As the only speaker at the meeting, which was quite well attended, Rex Stout gave an outline of the problems dealt with in the booklet". The speech was given just two days after Pearl Harbor. Though lengthy, it was graphic. Rex knew that his audience was comprised mostly of German-Americans. lie said he was sorry that some of them were going to be suspected of disloyalty. "There is nothing more exasperating, nothing that so fills a man with helpless rage and resentment," he said, "as to be made the target of unjust suspicion and the unjust treatment that results from it." He explained why they would be the target of such accusations. Hitler had said: "Germany is wherever a German is." In nearby Linden, Rex pointed out, the General Aniline and Film Corporation, second largest manufacturer of photographic equipment in America, third largest manufacturer of dyes and chemicals, owned by LG Farben, was controlled by the Schmitzes and the Duisbergs, who had laid the groundwork for World War II. Rex warned that unless G.A.F. was truly Americanized, Americans, even after Hitler's downfall, would be working still for the sinister German forces that connived for world dominion. On 18 January 1953, the playwright Maxwell Anderson wrote to The New York Times suggesting that the Authors' League had unleashed general confusion by defending all radio and television writers listed in Red Channels - the guilty and innocent alike. He urged that the League set up a board to sift them out. "Every American Communist," he said, "is a traitor to his country and has forfeited the right to be heard." Rex, on 25 January, reminded Anderson that he himself had been present the year before when the League had drafted a statement of its position and had supported it. That statement continued to be League policy. As much as he deplored Communism, Rex would not use his office as League president to create a Star Chamber. He was still sailing his course between the Scylla of McCarthyism and the Charybdis of Communism. The American people must be taught the nature of our enemy in order to eliminate the possibility of a premature peace.... The chief difficulty to any peace in this world is not the momentary, spasmodic vices of the Nazis but the inherent anti-democratic traits in the German character. We must understand them in order to convince them that the only way to get along in this world is to cooperate with democracy. If we could convince them by giving each of them a copy of the Declaration of Independence, that would be fine. If we can only convince them by killing twenty million of them, we must do that.